in a pan add in oil, garlic, mustard seeds and mix it together. Then add in chopped onion, tomato, capsicum, corn, cumin seed powder, red chilli powder,salt, chopped potatoes, corriander, water and mix it all together. Corn Capsicum vegetable is ready to serve. 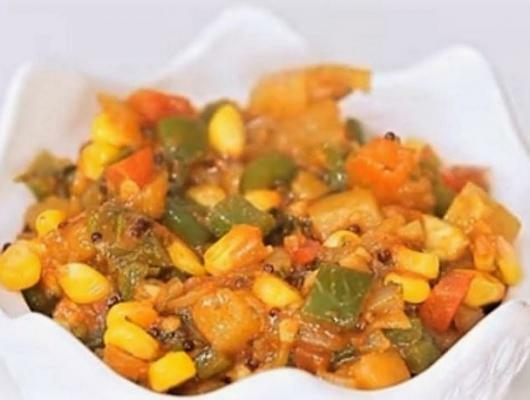 Here is Very Sweet and delicious Indian Food Recipe all the way from North Indian Cuisine which is and of Sweet Corn and Capsicum and Different type of Indian Herbs and spices are used in it. 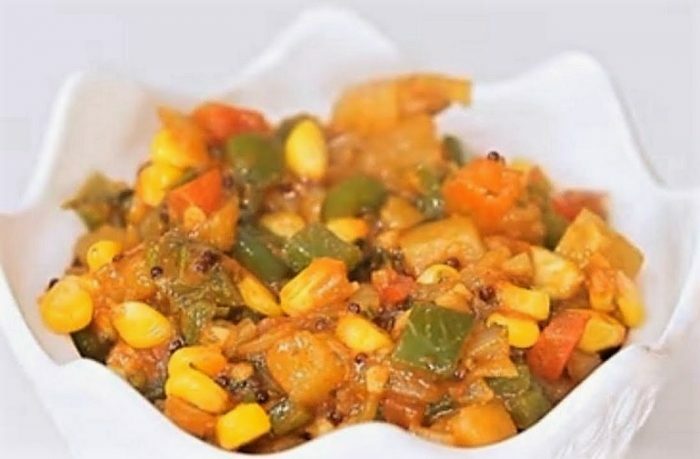 The Recipe Called Corn Capsicum Masala which has blast taste because of different ingredients are used in it and you can red and yellow bell peppers and kasuri methi to the curry to enhance the flavour. It is a well famous dish of North India cuisine. The blend of vegetables and spices make a perfect pair with steamed rice, chapatti, Naan, Paratha, and with much more Indian Pieces of bread.